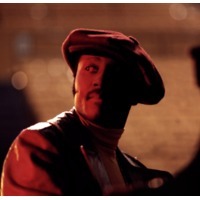 Donny Edward Hathaway (October 18, 1945 – January 13, 1979) was an American soul musician. Hathaway contracted with Atlantic Records in 1969 and with his first single for the Atco label, "The Ghetto, Part I" in early 1970, Rolling Stone magazine "marked him as a major new force in soul music." His collaborations with Roberta Flack scored high on the charts and won him the Grammy Award for Best Pop Performance by a Duo or Group with Vocal for the duet, "Where Is the Love" in 1973. Six years later, his body was found outside the luxury hotel Essex House in New York City; his death was ruled a suicide.